‘I joined Fife’s Fence Records full time back in the summer of 2003. I’d released my first home recordings on the label under The Pictish Trail name the previous year, and suddenly found myself cutting out photocopied album artwork, spray-painting CD wallet sleeves, organising all-day gigs in the local pub, and moonlighting on wonky-electric guitar in King Creosote’s live band. KC, who founded Fence back in ’97, was being courted by Domino and Warner Brothers around this time – so I held the fort, as it were. Ten years have gone by, and I’ve continued to manage the label, while doing my own thang as PT. It’s been an amazing journey. The past 18 months in particular have been our strongest and busiest – a slew of innovative album releases, weird EP subscriptions, and brain warping live events. KC retired from Fence last year, leaving me to run things from my caravan home on the Island of Eigg. After much deliberation, and support from the Collective, I’ve decided it’s best to continue the label under a new name. Fence was really a Fife thing, and now that I’ve left the area, it feels right to close that chapter on a high. Start something fresh with the momentum and good will we’ve built up. F A M I L Y; imagine a drunken, stumbling trip into a forgotten forest. It sounds like that. 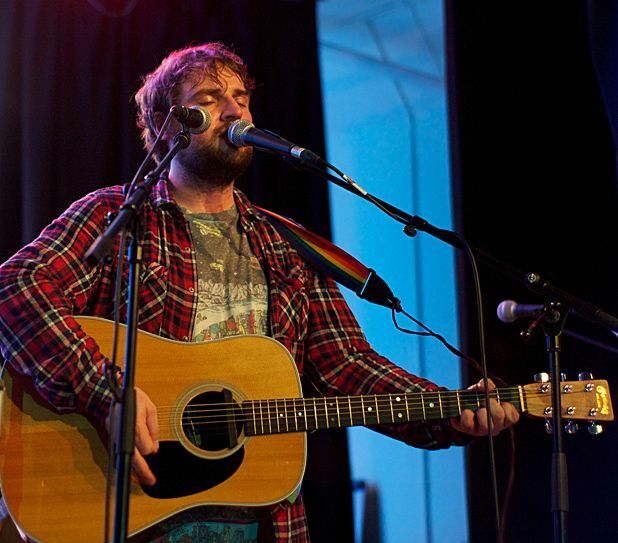 Pictish Trail plays the Liquid Rooms, Edinburgh, Sat 24 Aug, with support from Monoganon. See lostmap.com for more info.